For top-flight gutter protection systems that will comprehensively shelter the gutters of your home in Fredericksburg, Virginia, or any nearby community, look to the Gutter Helmet systems installed by MR. FIX-IT™. 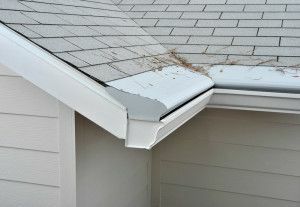 We install gutter systems form this leading manufacturer because we believe that they provide the best overall protection from leaves, twigs, branches, and other debris that might otherwise clog your gutter. Additionally, thanks to our confidence in both the quality of our gutter protection systems and the technical ability of our installation teams, we’ll stand behind every gutter system we install with a lifetime guarantee. If you’d like to know more about our gutter protection solutions and how they can help make cleaning your gutters a thing of the past, contact MR. FIX-IT™ today. We proudly serve homeowners in Fredericksburg, VA, and all neighboring areas.